Where was Fox News on this story? Is Rupert tied in the the Koch Brothers and the Royal Family? I agree with Porkchop. Put a spike in the head and show it to all in the public square. The cross is too dangerous to pedestrians if the body falls off. Where is the photo? We need a photo of dead guy with no head hanging on the cross. We need a photo of the Texans killing people too. If it is perfectly OK for the People of The State of Texas to kill a human, then why are no photos printed in the Houston Chronical for all to see and take glory in? I beaned her in the bean with a rotten tangerine..
And school kept marching on. Naw, PreacherDog, they crucified him. Put his headless body on a cross. I guess that is a timeless practice in those parts. My Google does not work. Can some one tell me how many humans that the People of The State of Texas killed last year? The Saudi Territory killed 28. Is not the Sixth Commandment written in stone? If thou kills when thou is told not to is not thou a chump? How art thou? When I die, I’m donating my body to science fiction. When I die I want my body cremated. If the Saudis are burning bodies how is this different than the wishes of many Americans? When that creep Governor Rick Perry was busy running for President an application for clemency, pardon, and stay or delay of execution came to his desk. Rickyboy was off in Florida and his clerk let the People of The State of Texas kill the guy. It later turned out that the guy was innocent. If any of you readers live in Texas please vote this schmuck out of office. It will sit well when your time comes at the Pearly Gates. The dogpac voted. Sixteen dogs voted in favor of Saudi Arabia and eight voted for Texas for the Sixth Commandment Award. Six abstentians. All were in favor of Thou Shalt Not Kill. No exceptions for good Christians who read the Sears Roebuck version of the Holy Bible which seems to allow The People of The State of Texas to kill. Dogs do not employ words like “execute” when one human or a collection of humans kill another human. The Sixth Commandment says that Y’all Cant. If you live in a killing territory (quote death penalty state unquote) and your time comes to meet your Maker at the Holy Gates you better have a good excuse. You ain’t gonna go to Heaven, you might go to Hell and you would be lucky to get into Limbo which is a suburb of Saint Louis called Florissant. You will not get to come back as a dog. If you go through the Pearly Gates on a Wednesday Saint Peter will be out playing golf and a stand-in will be there to hear your story. I know that this is a long comment but I witnessed all of this when I went through the Pearly Gates the last go-round and got sent back as a dog. My choice. It was either that or Florissant as a human. So, what delineates the Priate Territories in the world when it comes to killing? The article blasts the Muslims in Riyad but is silent about the good Christians of Waco who kill with frequency in the name of The People or Y’all. Who killed more people in the calendar year 2012 in the name of the People? Texas or Saudi Arabia? Which Territory gets the Sixth Commandment Award? 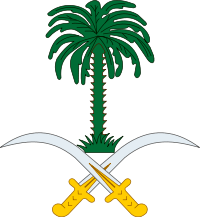 Saudi Arabia: Pirate Territory. Fly over and Flush. Texas: Pirate Territory: Fly over and flush twice. Please do not fall into the hypocrite well and call out the Saudis unless you are willing to call out the Texans– or yourself if you live in a death penalty killing state or territory. Pirates of the Caribbean! grrrrr. And these are our friends/allies? Crucifixion after you’re already dead seems rather pointless, unless, perhaps, there is a public display of the body. But if that is the object, why not simply put his head on a pike and display it instead? That seemed to work for the English nobility for a number of centuries. Or they glue shut the anuses of gay men — a rather prolonged and painful way to die. Well, if they ever run short of crucifiers, they can always ask the Roman Catholic Church for some since the Romans are the worlds leading authority on crucifixion and any Catholic church can show the proper examples on how to do it. What Gene said. This would be an amazing and surprising story if it wasn’t happening in Saudi Arabia! As always our allies amaze with their humanity, compassion and of course their life affirming zeal. A bit over the top, but hard to feel guilty if he actually did it. Emphasis on the IF as always in these circumstances. Saudi Arabia! Boldly marching into the 12th Century . . . when they aren’t busy stealing planes and crashing them into buildings.